Gardening? Contemplating in natural surroundings? No, thank you, that’s not my cup of tea, Gabriele Frydrych told herself when she and her husband moved into the small townhouse in Berlin. She wasn’t the slightest bit interested in the overgrown city garden with pine trees and sandy soil. But suddenly the flower bulbs she had bought at the discounter actually grew into snowdrops and daffodils. Robins and chickadees flew to the breakfast table. And it just took a fox family to take over the premises to get Mrs. Frydrych hooked. Since then, she lurks for hours in the bushes to take pictures of young foxes or wrens playing. She’d rather leave her money in the garden center than in a boutique. Or climb trees to attach birdhouses. And then there's the esthete, Mrs. Frydrych's cultivated neighbor who has her own gardener, the neighbor’s curious kid Till and her eco-freak friend Sabine, who takes her snails into the forest individually. 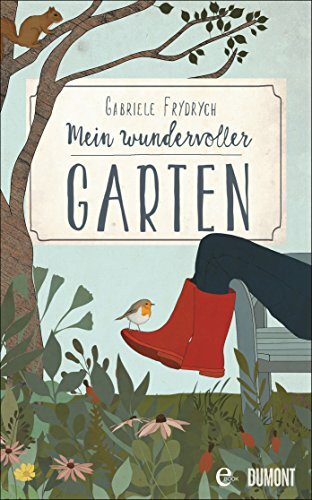 Humorously and with impeccable observation skills, Gabriele Frydrych tells of plants, animals and the microcosm of her area - for all garden lovers and those who aspire to become them.